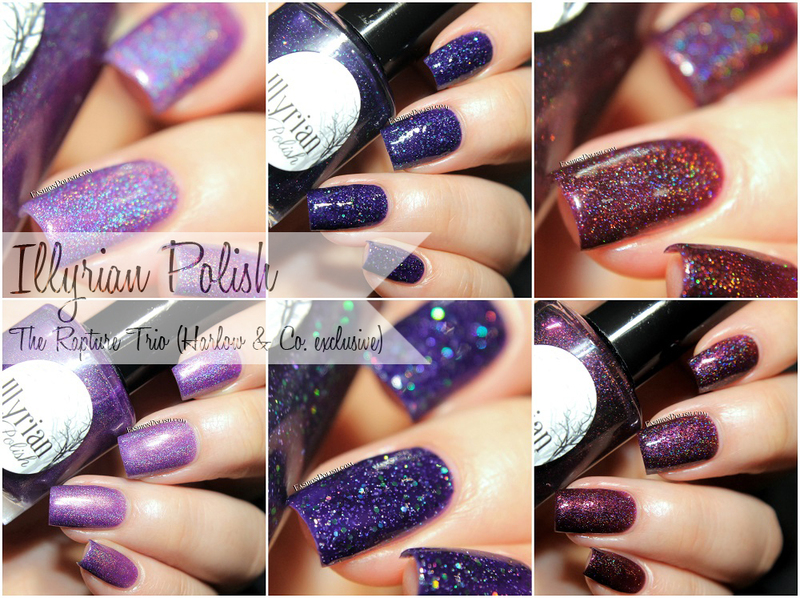 Fashion Polish: Illyrian Polish Harlow & Co. exclusive : The Rapture Trio Swatches and Review! Illyrian Polish Harlow & Co. exclusive : The Rapture Trio Swatches and Review! Anyway, I'm back today with swatches of the Illyrian Polish Rapture Trio which inspired by the Bioshock series and is exclusive to the Harlow & Co. shop. Would You Kindly is a lavender jelly with a linear holo. Great formula although a bit on the thin side. I used 3 thin coats plus topcoat. 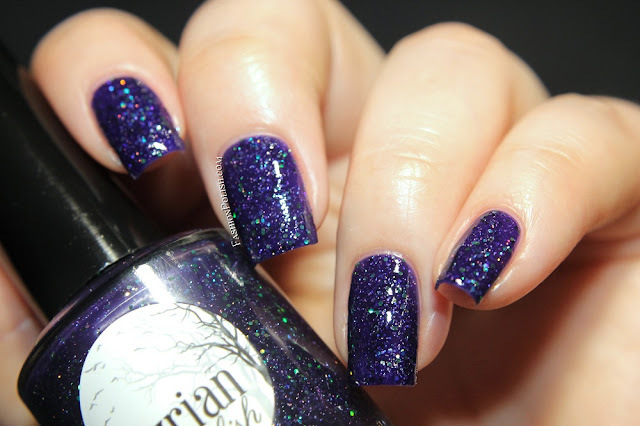 The Lighthouse is a midnight blue jelly packed with a mix of green and holo glitters/microglitters. With just the right amount of glitters and a smooth finish. I used 2 coats plus topcoat. 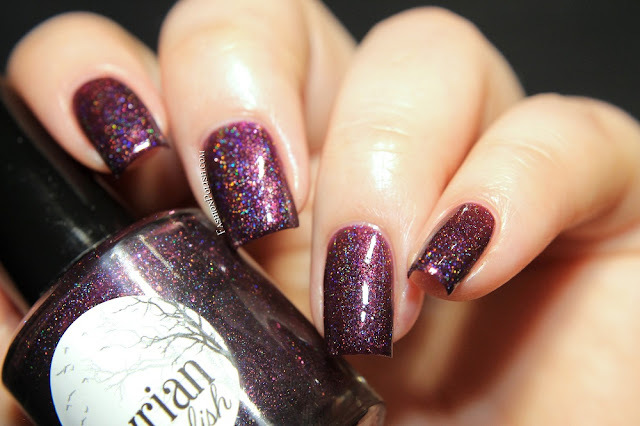 Spliced is a deep plum holo with a touch of red and iridescent blue microglitters. I love vampies and this one's just right up my alley. I used 2 coats plus topcoat. This is my first time trying Illyrian Polish and I must say that I'm really impressed with them! I have a slight vampy/shimmer bias and they seem to create a lot of those so I'll definitely have to look into the brand some more. 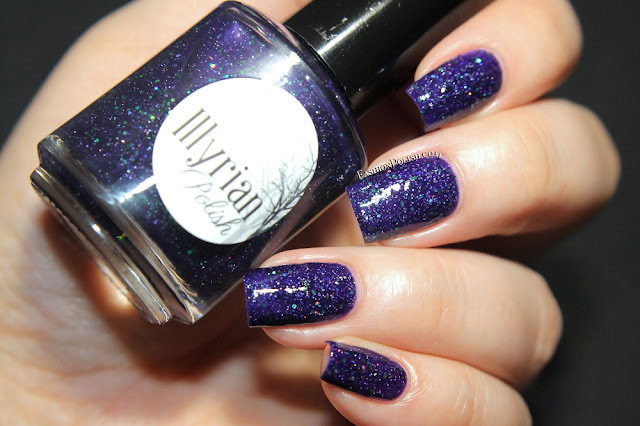 The Illyrian Polish Rapture Trio is exclusively available on Harlow & Co. and retails for $15.50 CAD each (approx $11.90).